Shinnecock Hills, located in Southampton, N.Y., is known for its fierce ocean winds and unique links-style course. Pictured here is the 11th hole on Tuesday, June 27, 2017. 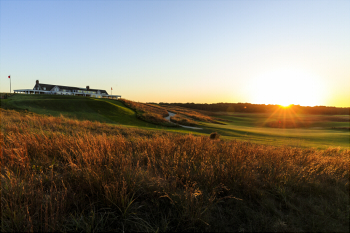 Shinnecock Hills, one of the five founding clubs of the USGA, will host the 118th U.S. Open Championship from June 14-17, 2018.